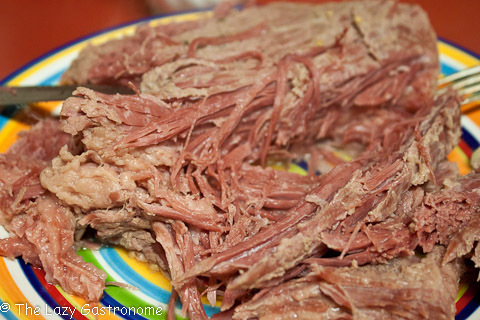 Corned beef is not a traditional Irish food – in fact, it isn’t Irish at all!! Irish immigrants in the 1800s lived alongside other immigrants in New York and frequented Jewish delis. 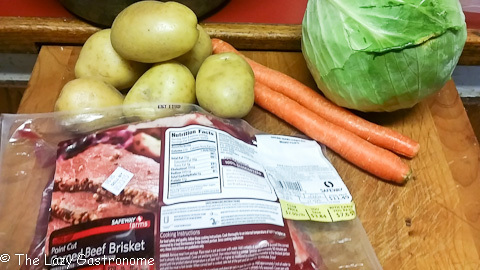 Although pork was the favored meat, beef was far less costly and corned beef was processed much like Irish bacon (and was a cheaper alternative). 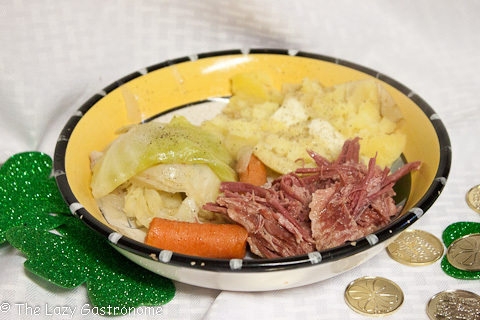 Cabbage cost less than potatoes, so, in the one pot Irish tradition, corned beef and cabbage was born. 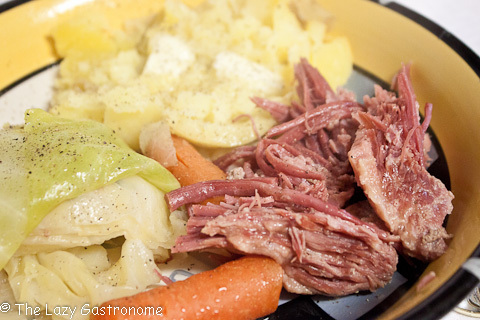 So corned beef and cabbage is actually an Irish-American version of pork and potatoes! Rinse the beef and place in a large kettle. 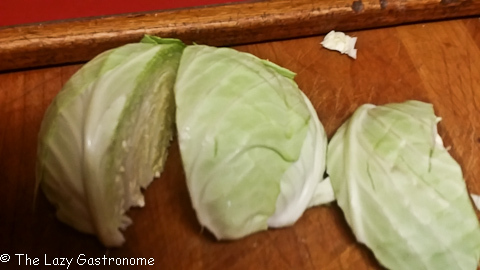 Cover with water (DO NOT add salt!). Empty seasoning packet that comes in the package and add that to the water. 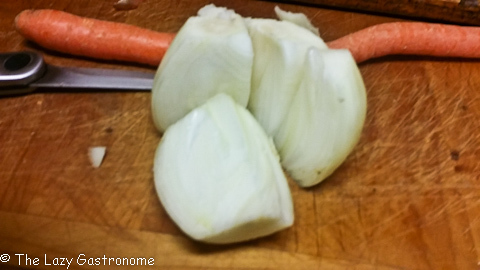 Cover the pot and bring to a boil. 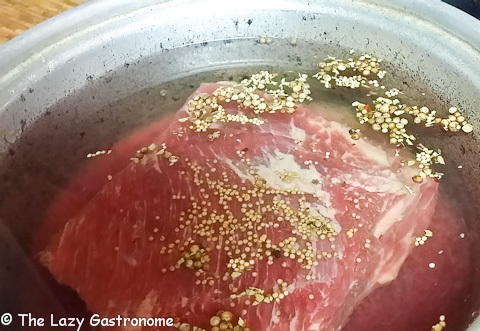 Reduce heat and simmer for about 3-3 ½ hours, until the beef is fork tender. Cut the potatoes in half and add to the pot. Turn the heat up to medium and cook until the potatoes are almost done – about 20 minutes, depending on the size of the potatoes. 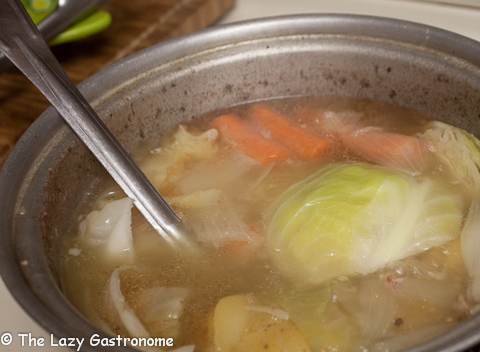 Remove the beef from the pot and place on a plate to cool slightly. Turn heat up to high and let the liquid boil for about 5 minutes. Slice the beef and serve with the potatoes and vegetables covered with a bit of the liquid. 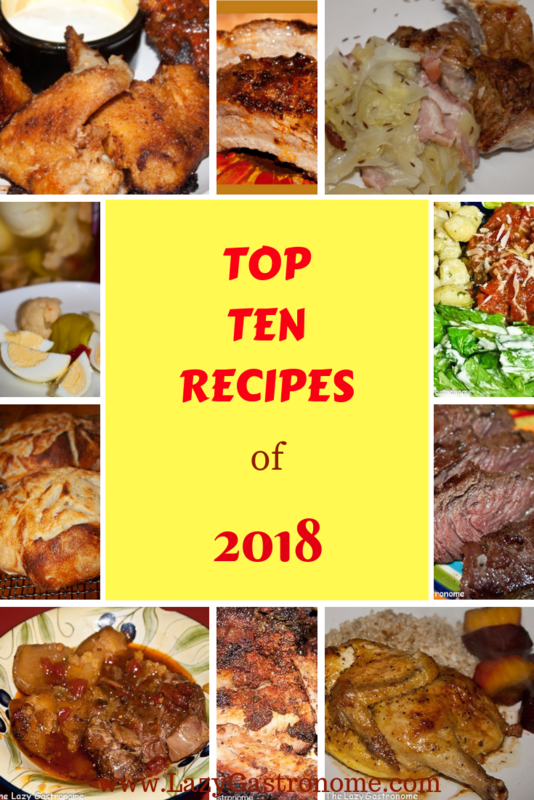 This entry was posted in Beef, Holidays, Main dish, St. Patrick's Day and tagged beef, cabbage, march, one pot, potatoes, St. patrick's day. Bookmark the permalink.